A true craftsman style home built by one of El Dorado County's finest builders, if you are lucky enough to have one of his homes you are lucky enough. Single story ranch home with covered front & rear porches. Custom trim and mill work, 2x6 construction, energy efficient, central heat and air, slate wood fireplace. Country kitchen with custom cabinets, large great room with vaulted ceilings with sky lights. Nice master suite with walk in shower. Large inside laundry room. 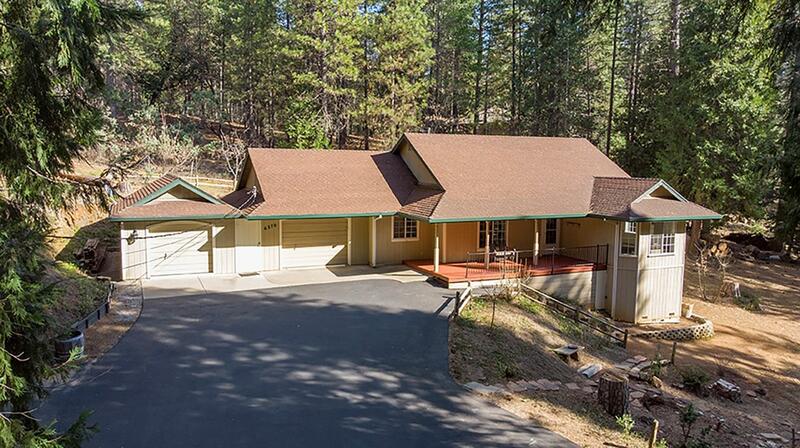 2 car garage with workshop, all on 2 plus wooded private acres with close proximity to El Dorado National Forest and private community swimming and fishing lakes, private airstrip.